These tracks end at a low wall. The distance between that wall and the wall of the building is perhaps 10 feet. The drive-through window behind the Moxie Java on Boise’s Vista Avenue is for cars, not trains. That’s not a point one usually has to make but in this case, a set of train tracks terminates just a few feet away from that window and the back wall of that coffee shop and its neighbors, Blimpie and the UPS Shop. These tracks are not forgotten remnants of the past. They are connected to nearby tracks where freight trains travel daily. But the track’s owners say there’s close to no chance that a locomotive could come crashing through the back of the building and come to rest among the coffee beans, cold-cuts or cardboard boxes. One prominent railroad safety expert says that scenario is highly unlikely, but the chance is not zero. 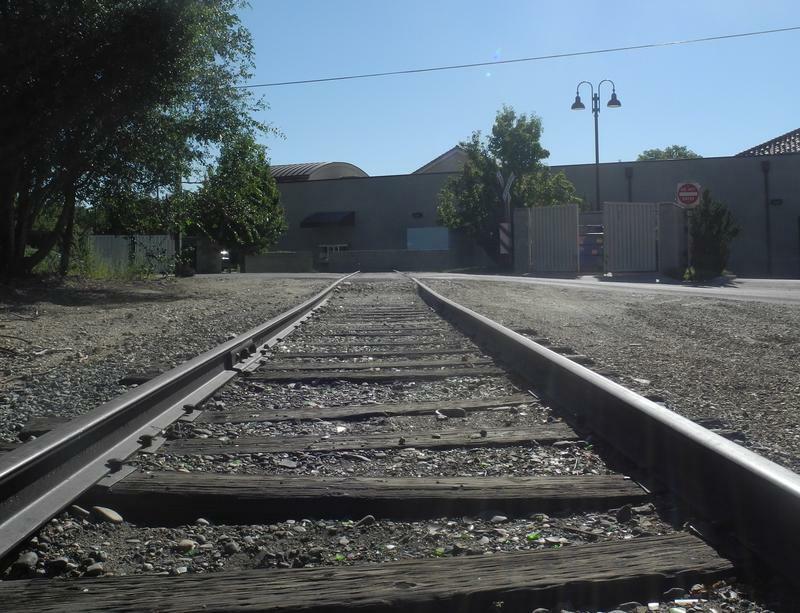 The tracks are owned by the Boise Valley Railroad, which is owned by Watco Companies. Kansas-based Watco operates 36 short line railroads like the Boise Valley Railroad. Watco spokesperson Tracie Van Becelaere says the layout in this situation is called a wye. It’s used to turn train cars around. She says before the train turns into the wye it comes to a complete stop. She says a train crashing into that building is as likely as an airplane falling from the sky and hitting it. Gus Ubaldi is a former train yard and station designer, a track safety inspector and he investigates railroad accidents for Robson Forensic. He agrees the scenario of a train unexpectedly tuning down the wye is unlikely. Ubaldi says there are systems available meant to prevent people from forgetting to switch a wye back after it is used and to help operators see if a switch is properly aligned as a train approaches. But he says they aren’t foolproof. View of the wye from Google Earth. 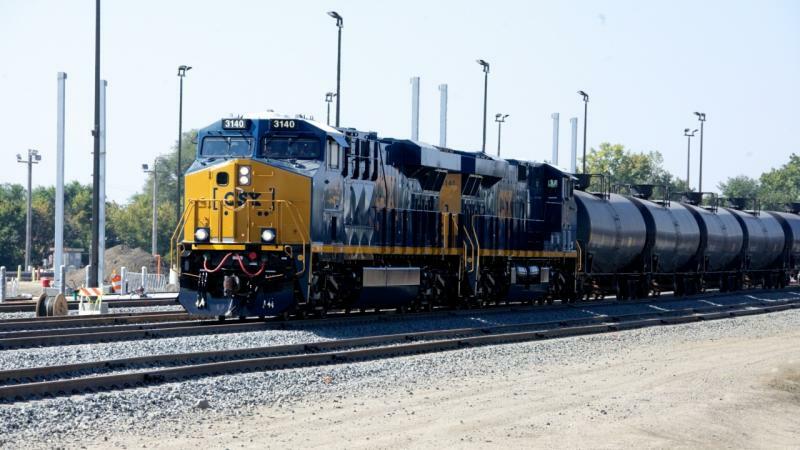 Watco’s Tracie Van Becelaere says even if a train did turn down this wye unexpectedly, they travel so slowly through this part of Boise that there would be plenty of time to stop in the roughly 400 yards between the main track and the building. Ubaldi says that’s true but occasionally trains go faster than they are supposed to. That’s what caused a crash that killed eight people in Philadelphia last year. To sum up: for a train to crash into the back of the Vista Moxie, Blimpie and UPS Store, a combination of unlikely events would have to happen. The switcher from the main tracks to the wye would have to be pointing in the wrong direction when a train came, plus the operators of that train would have to be both not paying attention and going too fast. Several employees of the coffee, sandwich and package shipping shops say they had wondered about the tracks for a long time. Some say they occasionally see cars on them. All say they had never considered the possibility of a train coming down those tracks and hitting the building, but now that the idea has been presented they're kind of worried. Gus Ubaldi says they don't need to be. This year, the Boise Train Depot turned 90-years-old. The city has been holding tours to highlight the history of the depot. Two tours are set for this Sunday. Eriks Garsvo is a walking history of the depot. He’s a Boise history and train buff who works with the Boise Parks and Recreation Department. 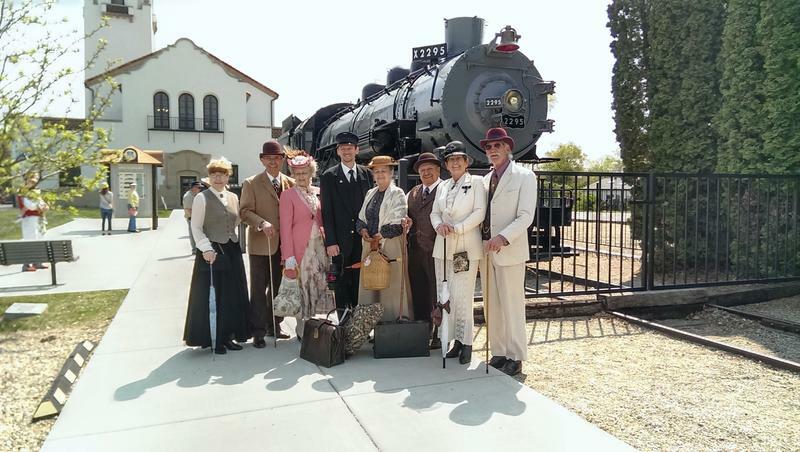 He leads the Boise Depot tours and dresses in a full conductor’s uniform to get into the spirit of the time period. Three northern Idaho counties are creating strategies for containing an oil spill as more oil is moving through the inland Northwest on trains. Trains carry crude oil from North Dakota across the Idaho Panhandle at least twice a day. They run along lakes and rivers, and sometimes cross right over the water. That’s made local emergency response managers in Boundary, Bonner and Kootenai counties even more nervous about what would happen if a train derailed.